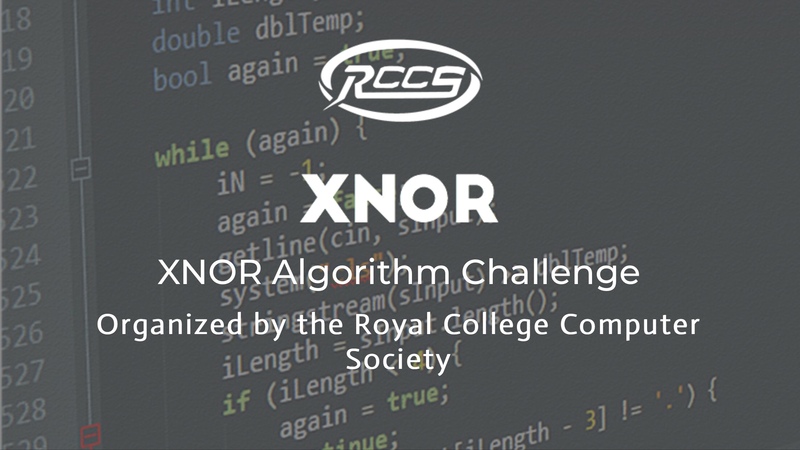 XNOR Algorithm competition organized by the Royal College Computer Society will commence today 24th of August 2018. This project aims to improve logical thinking, problem solving and programming skills. Winners will be awarded with a valuable certificate and trophy will be awarded to the top performer. Click here for the competition website (rccsonline.com/xnor).